In John we often hear something about the need to abide in Jesus even as he abides in us. There is in this message of abiding a strong sense of mutuality—a mutual indwelling of Jesus in our lives and our lives in his. In John’s gospel the relationship between Jesus and his disciples (and therefore us) goes beyond intimacy. There is a sense of complete oneness (John 17:20-21) of God’s people that is rooted in our oneness with God in Christ. That is, we are the body of Christ, to use a Pauline phrase. Is it possible that we could even use the theologically charged Greek word perichoresis to describe this relationship? That word plays such a central role in the church’s developing understanding of God and the church’s Christological formulations. This is the word that is used to define the relationship that exists among the three persons of the Trinity as well as the relationship of Jesus’ humanity to his divinity. Theologically, we can even think here in terms of the relationship of Jesus’ humanity to his divinity – mutual penetration of divinity and humanity. In reflecting on the meaning of this text theologically, we affirm that Jesus is the one in whom humanity and divinity share full communion. As Catherine Mowry LaCugna puts it: “he is who and what God is; he is who and what we are to become” [God for Us: The Trinity and Christian Life, p. 296]. While this is likely not the only way to read this parable of the vine and the branches, I do believe that it is a legitimate theological reflection on the parable to say that we experience communion with God in and through our communion with Jesus, for we are the branches and he is the vine. Jesus tells the disciples that he is the vine and they are the branches. He also tells them that the Father is the “vine grower,” but we need to wait a moment before we get to this part of the story. Let’s think more fully about this vine/branches relationship. You don’t have to know too much about agriculture to know that a branch cannot live apart from the vine or the trunk of the tree. Our life—spiritual life—flows out of that vine. To be in Christ is to draw one’s lifeblood, one’s identity, one’s purpose in life from that relationship. Outside that relationship there is no life—at least if we’re speaking spiritually. Just as the sap runs from the vine to branches, so the Spirit runs from Jesus to us. The image of the vine invites us to consider how we experience communion with God in Christ. I’ve already shared my sense that theologically speaking we can read this parable as an invitation to envision Jesus to be the one in whom both humanity and divinity dwell (and mutually indwell). This leads to the question of how we should read the phrase that begins the passage: “I am” (egō eimi). This phrase is a favorite of John’s, who has Jesus declare that “I am . . . “the bread of life (6:35); “light of the world” (8:12); “gate for the sheep” (10:7); “Good Shepherd” (10:11); “resurrection and the life” (11:25), “the Way, the Truth, and the Life” (14:6). Then there’s that curious scene in the Garden of Gethsemane, where Jesus replies to the question of his identity by saying “I am He” (18:6). It’s possible that John thought it a good idea for Jesus to speak clearly about himself and not use that circumlocution “son of man,” which appears so often in the other three Gospels. Perhaps it’s nothing. Or, perhaps it is very intentional and hearkens back to the revelation of the divine name in Exodus (Exodus 3:13-14). Could it be that John had in mind the divine name? Is this John’s way of allowing Jesus to disclose more fully his identity? Consider that John begins his Gospel by identifying Jesus with the Word that is God (John 1:1, 14). I must confess that long ago I learned that the use of “I Am” here in John was revelatory of Jesus’ divine nature. He is the vine, we are the branches. By abiding in him, and he in us, then God abides in us and we abide in God? This, somewhat speculative reading of the passage leads us to the question of fruitfulness. If we are the branches, and Jesus is the vine—should we not expect to produce fruit? When I read vines, I think of grapes, perhaps wine grapes. 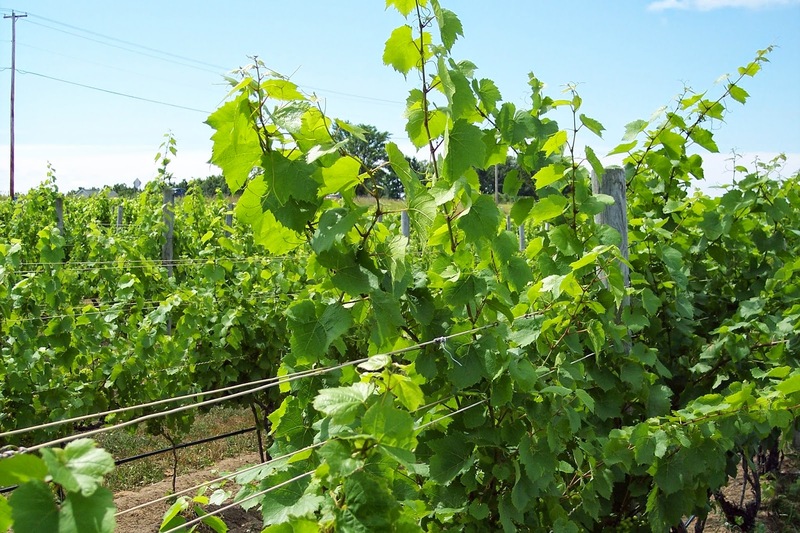 The expectation of any farmer raising grapes is that the vines/branches will produce fruit. The vines aren’t planted to look pretty. They’re planted to produce a crop. If a branch doesn’t produce then it will be pruned away, so as to make room for new shoots/branches that will produce fruit. I don’t have fruit trees, but I do have a couple of rose bushes. When I prune back the branches that aren’t producing, new branches emerge, and with them new rose blooms. According to John the Father is the vine grower, the one who takes care of the vines, pruning away the dead branches so that the living branches have room to grow and bear fruit. If some branches are cut off and thrown into a fire, what do we make of this? Do we take this as final judgment or divine correction? Our theology of judgment will likely determine how we answer this. But, what is clear is that God expects us to bear fruit. So the expectation of the Christian life—a life lived in Christ—is that one will bear fruit. One’s life will reflect that mutual indwelling of Christ’s life in our life, and our life in his. God is in us, and we are in God. In this passage the particular fruit aren’t named, but that’s okay. We can look elsewhere, such as Galatians 5, for suggestions. One particular form of fruit that one should expect to be present is love. If we continue reading on in John 15, Jesus says that “the Father has loved me, so I have loved you; abide in my love” (15:9). Yes, the command of Jesus is to “love one another as I have loved you” (15:12). More revealing still is the word found in 1 John 4, that God is love, and that if one does not love, one does not know God. The branch abides in the life-giving vine, and from that life-giving vine comes the love of God, which is expressed in the life of faith.